WEST HARTFORD – On November 9, 1938, during Kristallnacht – also referred to as the Night of Broken Glass – hundreds of synagogues, as well as Jewish businesses and buildings, were destroyed in cities all across Germany. Among them was a small synagogue in the town of Marburg-an-der-lahn, which was burned to the ground, its ruins later covered with soil. It was in Marburg that Polish Holocaust survivors Alina and Leo Bakalczuk settled after the war and where they had their oldest son, George. In 1949, the family, including Leo’s brother, moved to New York City and changed their last name to Bacall. George Bacall would become an obstetrician and gynecologist in Hartford. For years, Dr. Bacall had only negative feelings about the country of his birth and its people. But that changed when he and his wife Nancy went to Germany seven years ago to find his roots. Not only did Bacall visit Marburg, the city where he was born; he also established friendships with members of the “Arbeitskreis,” a group of non-Jewish Germans who have made it their mission to remember the Jews of Marburg who were murdered during the Holocaust. The Bacalls also developed a bond with the residents of Roth, a farm just five kilometers outside of Marburg. Like their neighbors in Marburg, the German community of Roth had also been making amends – helping to rebuild the small town’s synagogue. In June 2018, George and Nancy Bacall attended the 20th anniversary of the renovation and rededication of the Roth Synagogue and its first Shabbat service since Kristallnacht. It would not be inaccurate to say that George Bacall’s journey to Marburg and, subsequently, to Roth, really began in 1941 in the Warsaw Ghetto. It was then and there that his parents married…and it was there they embarked on an odyssey of survival that would take them through the Warsaw ghetto uprising, death marches and internment at camps including Treblinka, Madjanek and Auschwitz. By the time the war ended, both Alina and Leo lost all of their immediate families, except for one sibling. They were both liberated by allied forces at the end of the war – Leo and his brother Jack from Bergen-Belsen, and Alina from Neustadt-Glewe. After trekking through Europe and searching for one another for months, Alina and Leo were reunited and eventually made their way to Marburg. Alina’s sister, Blanche, who had been hiding as a gentile in Warsaw, also made it to Marburg when she heard Alina was alive. After a distant cousin in the U.S. sponsored them, they all made it to New York City when George was three years old. Then, eight years ago, George and Nancy Bacall went to an exhibit at the Mandell JCC called “A Reason to Remember: Roth, Germany 1933-1942.” Guest speaker Deborah Roth-Howe, the daughter of Herbert and Elsa Roth who left Roth, Germany after Kristallnacht, spoke about the restoration of the town’s small synagogue, a project undertaken by the German community to memorialize the town’s murdered Jewish residents. During the course of her talk, Roth-Howe also mentioned Roth’s proximity to Marburg. “My ears perked up,” said Bacall, when he heard Roth-Howe say “Marburg.” He sought her out after the program and told her of his connection to that German city. A year later the Bacalls, George and Nancy, made the journey to Marburg. 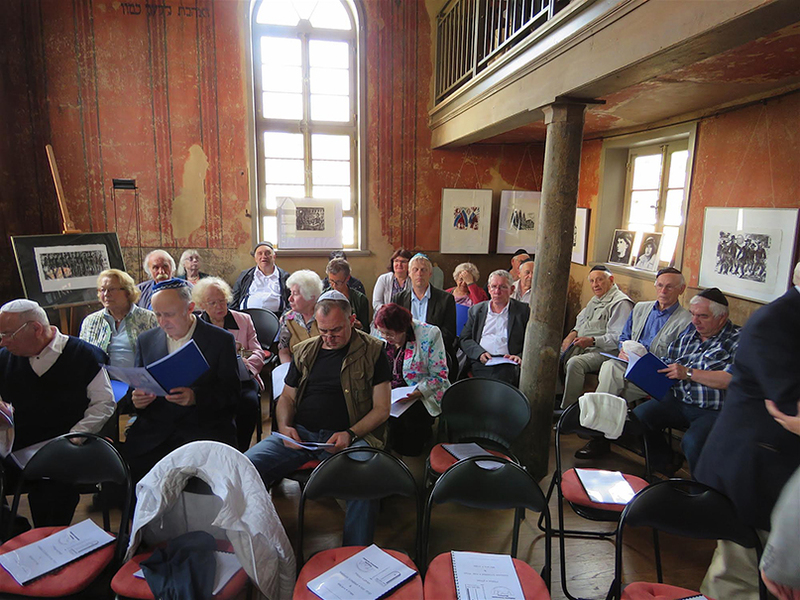 In June 2018, the community of Roth, Germany attended the first service at the restored Roth Synagogue since Kristallnacht. “I wanted to see where I was born and where I lived,” Bacall sad. “And Debbie [Roth-Howe] had so many good things to say about the people there,” Nancy Bacall added. The Bacalls met Annegret Wenz, the town archivist, and other members of the Arbeitskreis, who had formed a group called the Marburg Society of Christian-Jewish Cooperation. “They showed us all over Marburg. They showed us our family history and they told us the whole history of Marburg, including its the Jewish history,” George recalled. Wenz, along with a group of historians, helped the couple find the apartment building where Bacall and his parents had lived. While they had the address, it was a photo that his mother had given him that actually helped George find the building. At first, Bacall and his entourage of about 10 people were, perhaps understandably, refused entry by the young woman who lived there. But another resident let them in and they were finally granted entry into the family’s former apartment, now home to medical students – something that Dr. Bacall especially appreciated. The group also visited the store Bacall’s parents and uncle ran in town. 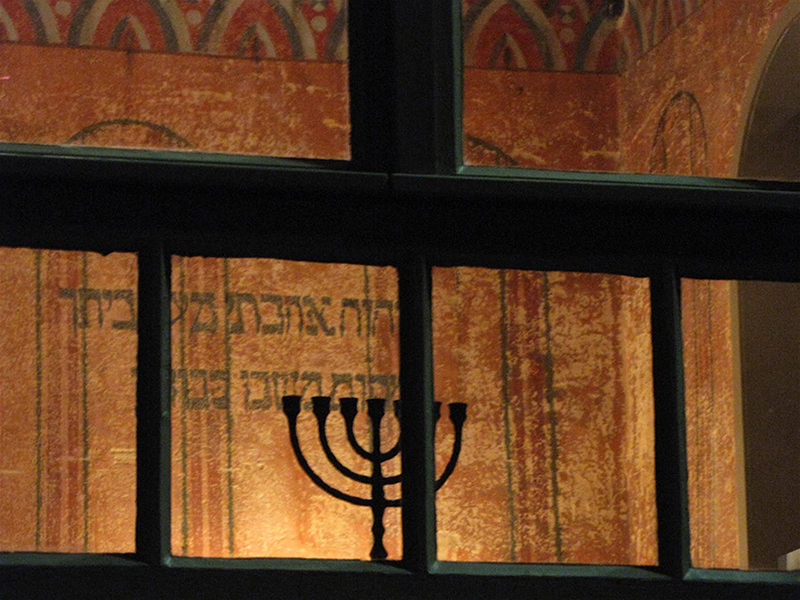 And, they attended a Friday night Shabbat service at Marburg’s synagogue. Marburg’s original synagogue, which had been burned down during Kristallnacht, now is the site of a “Garden of Remembrance.” The city’s functioning synagogue was built nearby in 2005. “It is a very nice, sweet-looking synagogue,” Bacall said. There is no rabbi; the members run it themselves. It was founded in part by an Israeli man married to a German convert, who decided to move back to Germany, but only if the town built a new synagogue. The congregation’s president is also a German convert and many of the members are Russian Jews. Of the approximately 350 Jews now in Marburg, around 50 are active members of the congregation. 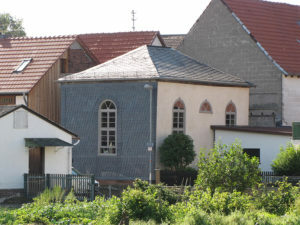 And they all have a close connection to another synagogue – the one five miles away in Roth. While Marburg’s large synagogue had completely burned down, the small century-old synagogue in Roth had not – it was too close to Christian homes. But its interior was defaced and its collection of Torahs and other ritual items were destroyed. After a forced sale to a farmer, the small building was used as a grain silo for many years. 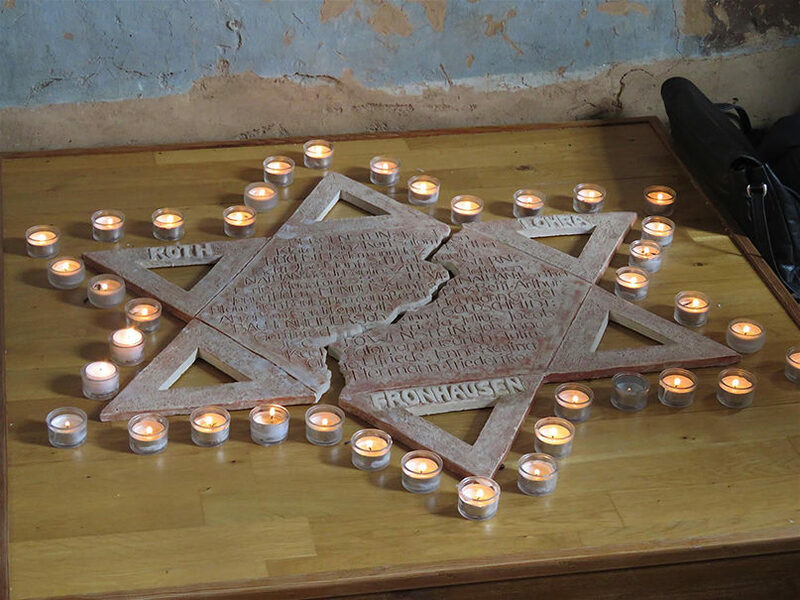 However, thanks to the Arbeitskreis, an effort was begun to help restore the synagogue as a memorial to Roth’s five Jewish families, nearly all of whom had been murdered during the war. Between 1993 and 1997, both the interior and exterior of the Roth Synagogue were renovated. The outline of the old ark, which had been ripped out by the Nazis, can still be seen on one wall, and much of the original wood and remnants of painted panels on the ceiling were left untouched. “They didn’t want to refinish it, they wanted to keep it as part of the ceiling, as part of the history,” Bacall explained. In 1998, the restored building was reopened to the pubic as an educational and cultural center. The rededication ceremony was attended by survivors from Roth, the children and grandchildren, all now living in the United States. Two years ago, the Bacalls returned to Roth for the rededication of the Herbert Roth Platz outside the synagogue, named for Deborah Roth-Howe’s father, who helped to finance some of the restoration. During that visit the Bacalls were named honorary members of the synagogue. They were even asked to write their names inside some of the gold Jewish stars that remain on the shul’s original ceiling. 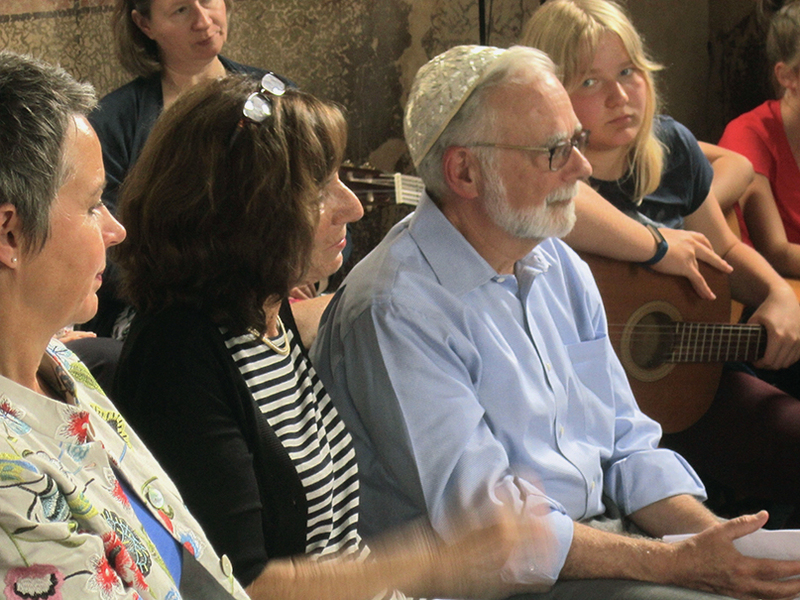 This past summer, the Bacalls once again flew to Germany to attend on June 15 the 20th anniversary of the renovation and rededication of the Roth Synagogue and its first Shabbat service since Kristallnacht. In attendance were Jews, non-Jews, and members of the neighboring Jewish Community of Marburg, including its cantor, who participated in the poignant service. The Arbeitskreis also provided prayer books in German, Russian and English – with several transliterated Hebrew prayers – so everyone attending would be able to follow along and understand the service. While meaningful for all of its participants, the touching Shabbat service was a one-time thing. 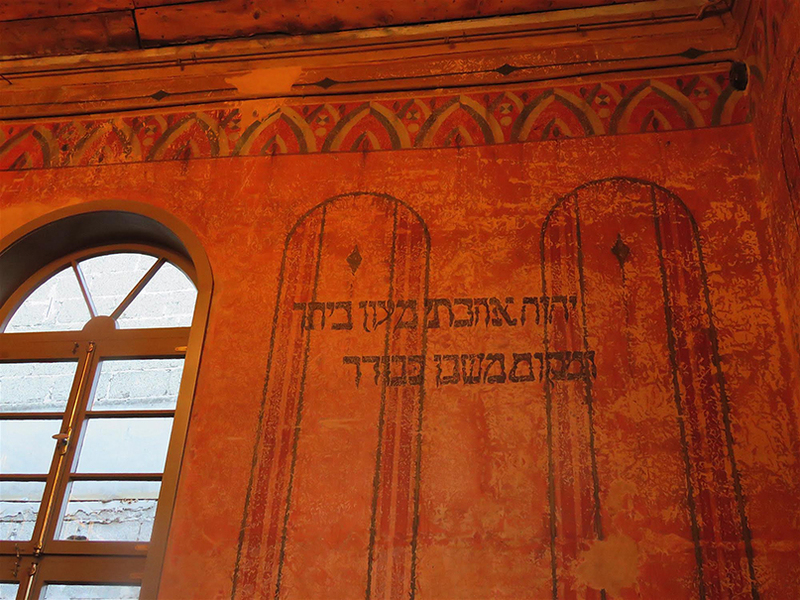 The restored Roth synagogue is now a cultural center. It may not hold religious services, but the Roth Synagogue is now a vibrant Jewish cultural center, open on Sundays for cultural programming and activities for children. The center’s educators also go to local schools to teach the children about the Holocaust in a bid to prevent hate and bigotry. Which seems to be the Arbeitkreis’ goal. The entire project has helped George Bacall to stop hating the German people. “My false perception of Germany and its people made a full 180-degree turn-around,” says Bacall, attributing his new attitude to the long-lasting friendships he has made with Anagret Wenz and her cohorts, whom he is certain feel remorse for their country’s dark history.